The disease status and thromboembolic events in women with systemic lupus erythematosus (SLE), with and without anti-phospholipid syndrome (APS), were evaluated before and after placement of the 52-mg levonorgestrel-releasing intrauterine system (LNG-IUS). 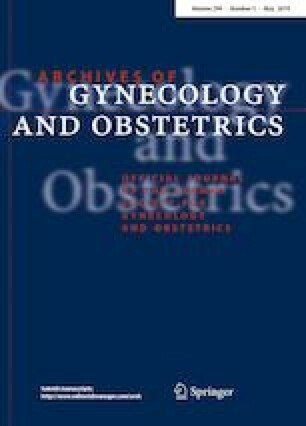 A retrospective cohort study, with review of medical records of SLE women, who received an LNG-IUS placement between January 2007 and December 2016, carried out at the University of Campinas Medical School, Brazil. The outcomes included the disease activity (SLEDAI-2K) and damage index scores (SLICC/ACR-DI) presented for each year of device use, as well as venous/arterial thrombotic events, insertion up to a median of 5 years. The author’s used χ2, Fisher’s exact and the Mann–Whitney tests for analysis and generalized estimating equations for score comparison. The study evaluated 46 women with SLE, 18 with and 28 without APS; the mean age (± standard deviation [SD]) was 31.8 (SD ± 8.3) years old. The length of follow-up after LNG-IUS placement was 5.6 (SD ± 2.7) and 4.1 (SD ± 2.3) years for the groups with and without APS, respectively. Comparison of the groups found that the SLEDAI and SLICC mean scores were low for both at baseline, without variations through the follow-up. After LNG-IUS placement, two women presented three thrombotic arterial events, and one of them died from causes unrelated to LNG-IUS use. Our results, although restricted, provide information to policymakers and health professionals that the use of a 52 mg LNG-IUS over a 5-year median did not increase disease activity or damage index scores among women with SLE, with and without APS. RCR protocol/project development and data collection. EP protocol/project development and data collection. MVB protocol/project development and data collection. LTLC protocol/project development and Manuscript writing/editing. SA protocol/project development. LB manuscript writing/editing and revision. AF protocol/project development and manuscript writing/editing and revision. The original study was funded by the Brazilian National Research Council (CNPq) and the São Paulo Foundation for the Support of Research (Fundação de Amparo a Pesquisa do Estado de São Paulo—FAPESP). The sponsors played no role in the study design, in the collection, analysis or interpretation of data, in writing the report or in the decision to submit the article for publication. The authors claim they do not have a financial relationship with the organizations that sponsored the research. They claim that they have had full control of all primary data and agree to allow the Journal to review their data if requested. The authors declare that they have no conflicts of interest. The authors alone are responsible for the content and writing of the paper. LB received honorarium to be a member of an advisory board and has been an invited speaker at scientific meetings for Bayer Healthcare Pharmaceuticals. He is a member of the ICA Foundation without remuneration. The LNG-IUS were donated by the International Contraceptive Access (ICA) Foundation, Turku, Finland, under an unrestricted grant. Since it was a retrospective study with a review of medical records, the waiver of signature in the consent form was requested and approved in the evaluation of the project.